Homestyle Gathering 5 is goin’ on now! We’re so glad you have joined us for your one-stop location for all things home-keeping! So happy that so many of you joined us last week to check out the best diys, décor, recipes, crafts and more! And thank you, fellow bloggers, for linking-up so all our readers can see and share the wonderful posts that you have to offer! Rita from Harbour Breeze decided to make Homestyle Gathering a 4 week series for her blog. We will miss Rita so much, but we wish her all the success in all that she is doing with her blog! However, this week, we have our very first guest hostess, Shauna from Satori Design for Living! 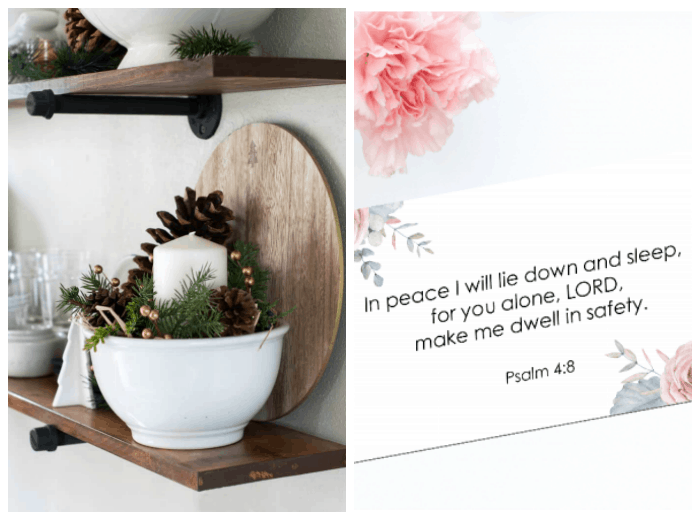 Shauna is sharing her five featured posts from links that were shared this past week! 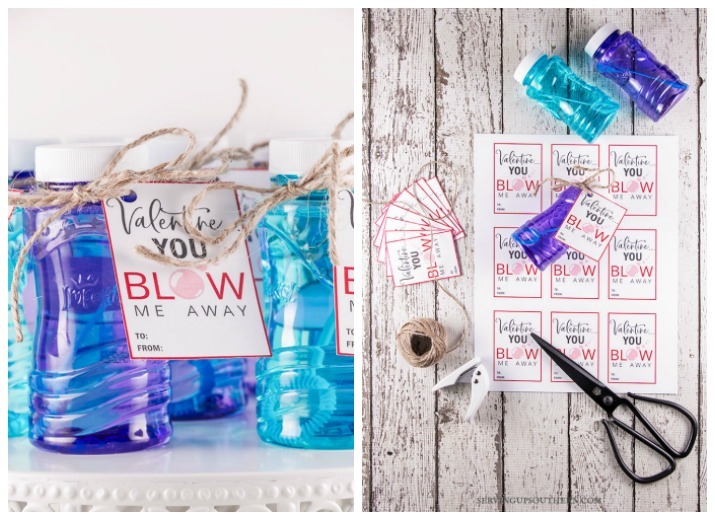 Be sure to link-up for next week’s features, and a chance to be a guest hostess! Thank you so much, sweet Shauna, for joining us! Now, take it away! Something else that is exciting about the party – a guest blogger is asked to host along every 4th week. I’m honoured to be their first! In addition, Homestyle Gathering features 5 posts from link-ups from the previous week. As part of my guest hosting duties, I’m sharing my favourites below. So many great projects and ideas to select from! Christina from The DIY Mommy built this board and batten hook wall entry on a budget using simple tools. 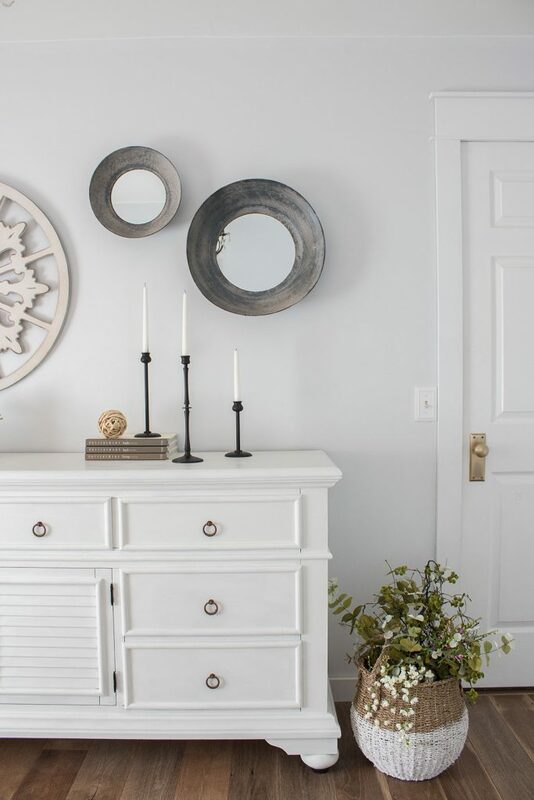 Such a smart and beautiful way to organize a family home entry or a mud room! Could your pantry use some help? 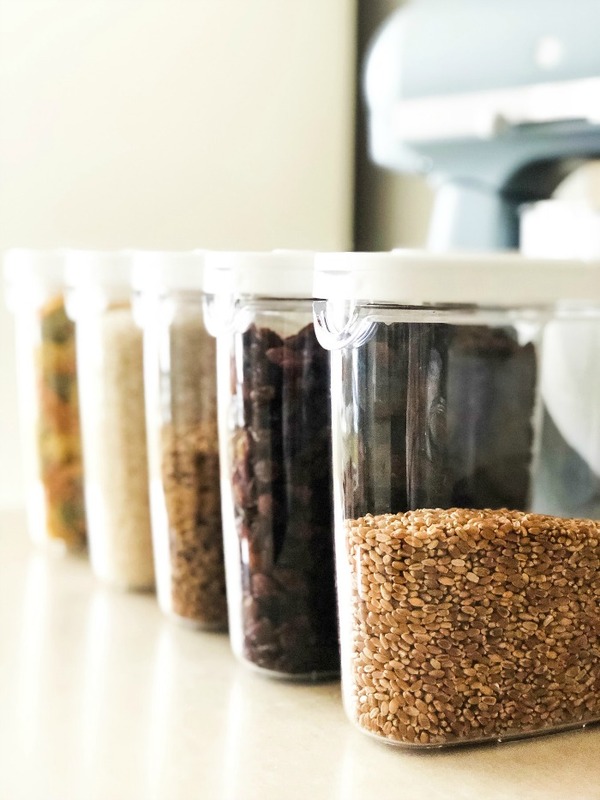 Pop by A Pretty Life to get simple and practical tips for pantry organization that work for real life. See how JoAnna cleverly organized her dry baking goods, canned goods, cereal and more! Roxanne from The Honeycomb Home did a fabulous job making over this dresser for her daughter. The white paint and new pulls look so fresh! 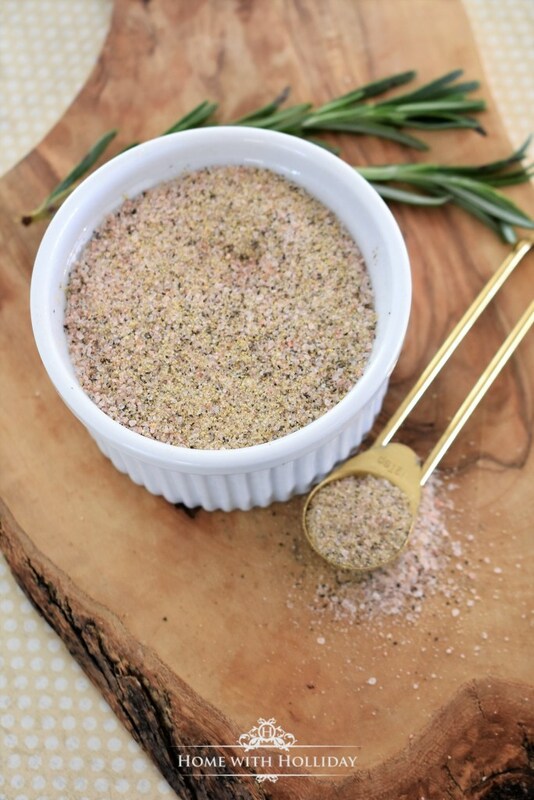 Home with Holliday shared how simple it is to put together this easy seasoning mix with 3 simple ingredients, including Himalayan pink sea salt. A convenient way to add flavour to almost any dish! 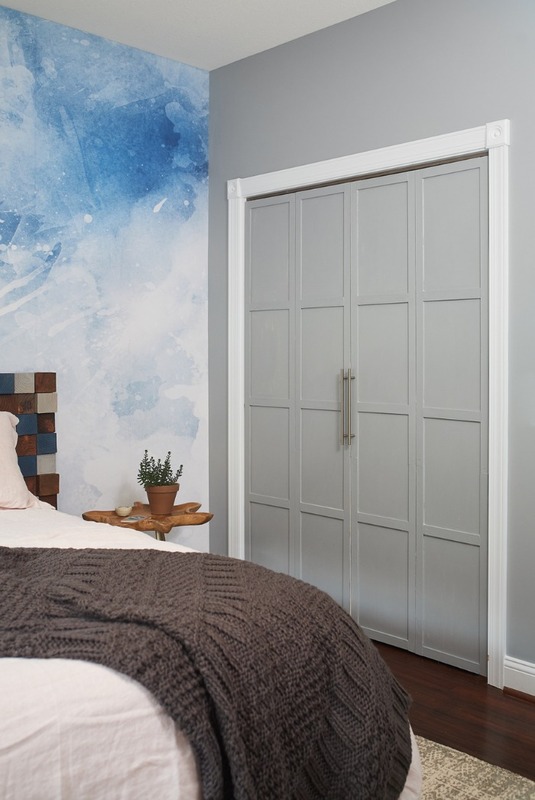 Finally, I’m so impressed with this closet door makeover by A Life Unfolding! Amazing what some wood moulding and a little paint can do to add a little interest. Since this is a party, please do mingle with other guests and visit two or three other links (ya know, spread the love) – comments and pins are always a blessing. Okay… now go have fun and find some new accounts and visit your faves! And of course, bloggers… we want you to share all your wonderful posts! Come back during the week and check out new links and see who we feature next week! Thanks for hosting this sweet party! I love seeing everyone’s ideas! Thank you so much for hosting! Have a great one! Oh, you DID link-up! Yay!!! Yes ma’am, thank you so much! Thanks for the reminder Julie. Love this party! Hope y’all have an exciting week. Thanks for sharing, Cindy! Always happy to have you join in. Hugs! Thank you Julie for hosting! And boy what amazing features this week, so many great things to pin! Thanks for linking-up, Marilyn! Glad to have you! Thanks for the party, Julie! Hope you’re having a wonderful week. Happy Valentine’s Day! Thanks for joining in the fun, Bev! Have a great week, and a blessed V-Day! Yep… I need to hit my ‘real’ closet in MWA, big time! 😉 Thanks for joining in the fun, Kay! Thanks Julie for hosting Homestyle Gatherings 5….hugs my friend. Thanks for the invite and for hosting Julie! Happy Valentine’s Day! Thanks for joining us, Amber! Happy Valentine’s to you, too! Thank you for hosting the party, Julie! I’m glad I am finally getting over here… It has been busy with our finding the new Texas house, getting all the papers done for it all, and closing this week! Now for the official move-in around Feb. 28th and a trip to Cali to move our household goods… Busy month coming up! I’m so looking forward to hearing and seeing more about your new home! What an exciting adventure! What part of Cali will you be in, again? A lovely link up — thanks for hosting, Julie! Thanks, Pam… so glad you joined us! Oh, Jayne! So glad you came by and shared! I loved reading about your furniture makeover and stenciling! Hope others go visit and learn, too! Hugs and hearts! Thanks SO much for the fun party! 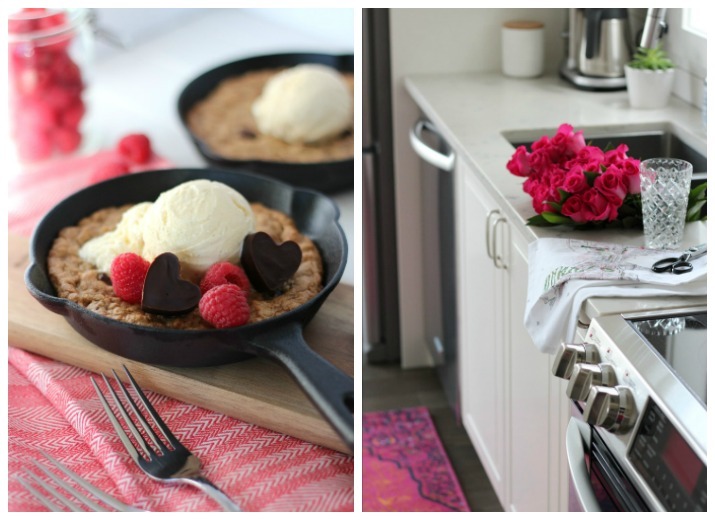 I love that cookie skillet with the ice cream and heart chocolates on top! Mmmm!!!! Thanks for joining us, Carrie! Always fun to see our tribe here!